Joy Gonzalez | Rejoice in Art! 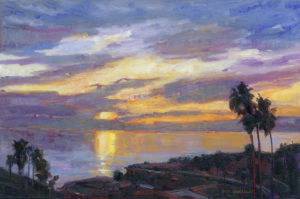 Joy Gonzalez paints landscapes of San Pedro and Palos Verdes as well as scenes from her travels, especially in the Southwestern U.S. and the Sierra Nevada mountains. Her goal is to paint expressively, yet maintain a sense of realism, as she conveys her deep appreciation of the beauty of nature. 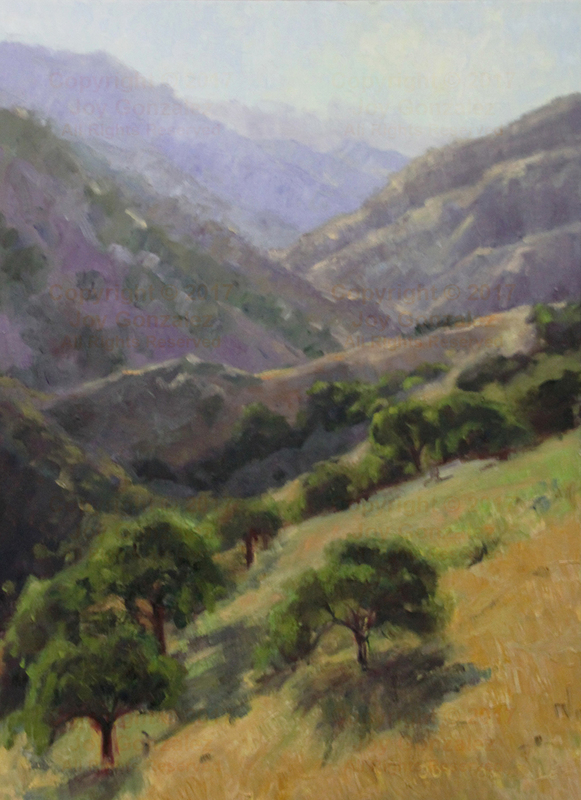 Her goal in painting outdoors is to capture the ever-changing light and deepening shadows. Her studio work builds on the knowledge of nature’s colors learned from observing and painting outdoors. Oil paint is currently her primary medium, since she loves the richness and intensity, but she also paints in watercolor, which she enjoys for its fluidity and delicacy.